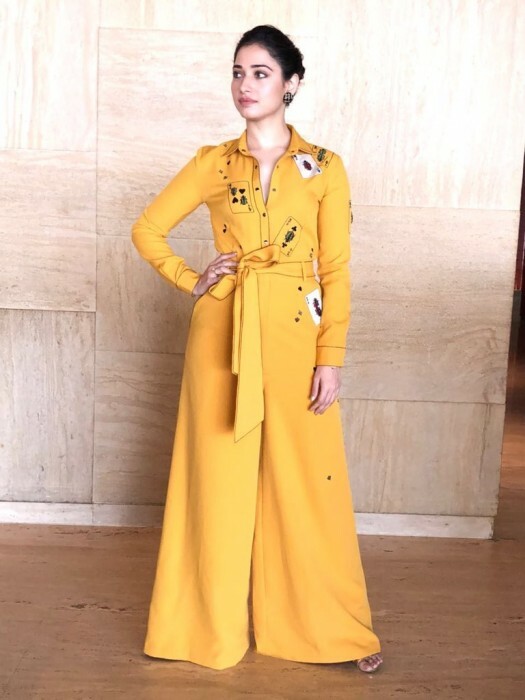 Tamannaah looks gorgeous as she gets set for an interview. The lovely Tamannaah is one of the most talented young ladies in Telugu cinema today. And, now, she is in the limelight for an awesome reason. As it so happens, the ‘Milky Beauty’ took to Insta and shared a lovely pic with her fans. In it she can be seen in a vibrant and graceful avatar that she carries off like a pro. Her confident body language and cherubic expressions gel with her avatar and up its recall value in a big way. That’s how you make an impact! 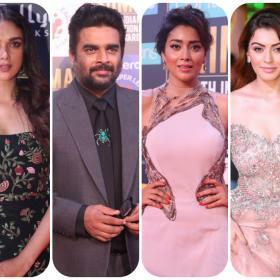 Interestingly, 2018 began on a good note for Tamannaah. Her Sketch hit screens during Pongal and opened to a good response at the box office. In it, she was seen alongside Vikram and did justice to her act. While talking about the film, she had said that working with Vikram was a memorable experience for her. “Vikram is an actor who has been around for long. His knowledge and talent can be well understood through his body of work. Yet every time he works on a new project he is still meticulous about it and is a thorough professional. Be whatever the weather condition, he always reported [on the sets] on time for the shoot,” she had told a leading daily. Tammy currently has Queen Once Again in her kitty. It is a remake of the Hindi hit Queen and will see her essay the role played by actor Kangana Ranaut in the Bollywood version. A few months ago, she had said that the remake will do justice to the Hindi version. “It’s an exciting project and I love doing roles that talk about women empowerment. I’m confident we can recreate the magic of the original. At the same time, not make our film look like a frame-to-frame remake. We’ll adapt it to suit Telugu sensibilities,” she had said. So, did you like this pic of Tamannaah? Tell us in the space below.